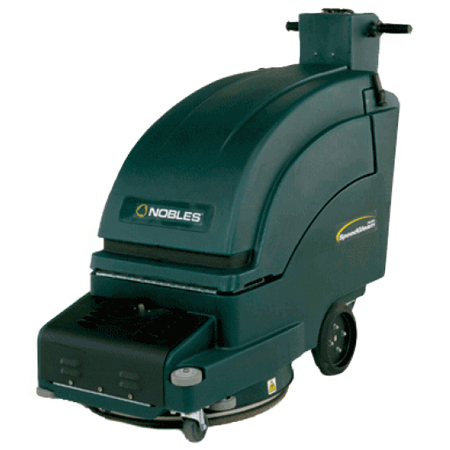 The NOBLES SPEED GLEAM is a battery powered burnisher. The unit reduces operator training with intuitive control panel and supervisor lock-out function. The NOBLES SPEED GLEAM helps maintain indoor air quality with passive dust control or optional active HEPA filtration. Highly intuitive controls make adjusting between three speeds and three down pressures quick and easy.